While it was another sunny day outside, the temperatures today are more “March-ish” with highs only in the 40 degrees F which will be 25 degrees F colder than yesterday. Oh well. That’s spring for you! It was relatively quiet at the Horticulture Center this morning and I’m typing this blog in the morning as I have three presentations this afternoon extending in to the evening. Pat M. hit the ground running with pruning duties this morning and Larry H. and Kathy teamed up to cut back some willows (Salix sp.) and were also cutting back ornamental grasses. Larry was out trying to pull up more stakes that were left from securing displays for the Holiday Lights Show. Vern was in for some carpentry work and Janice popped by for various tasks. Kay continued processing many of the thousands of labels that we produce for our plant sale veggies with help later from Cindy B. as well. We had some additional help this afternoon from our dedicated volunteers. 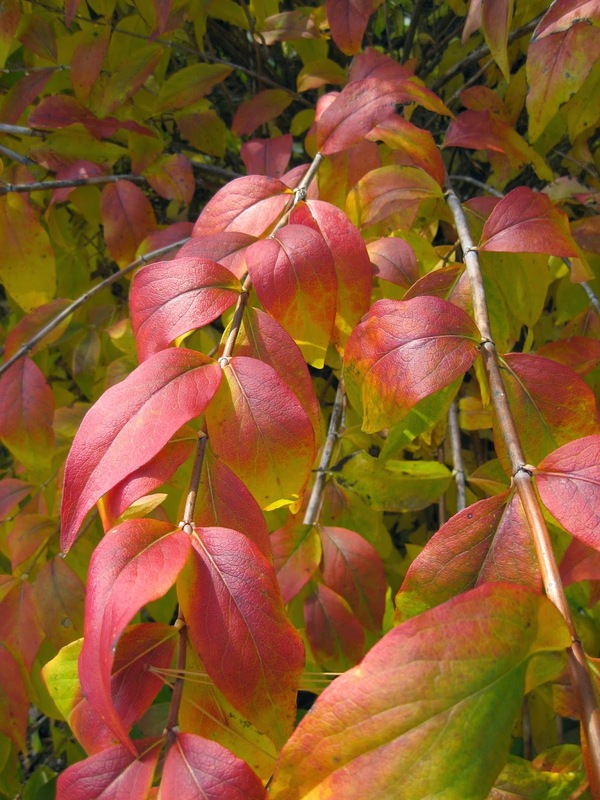 I continue to work on orders for the grounds and the Spring Plant Sale (Mother’s Day weekend!). 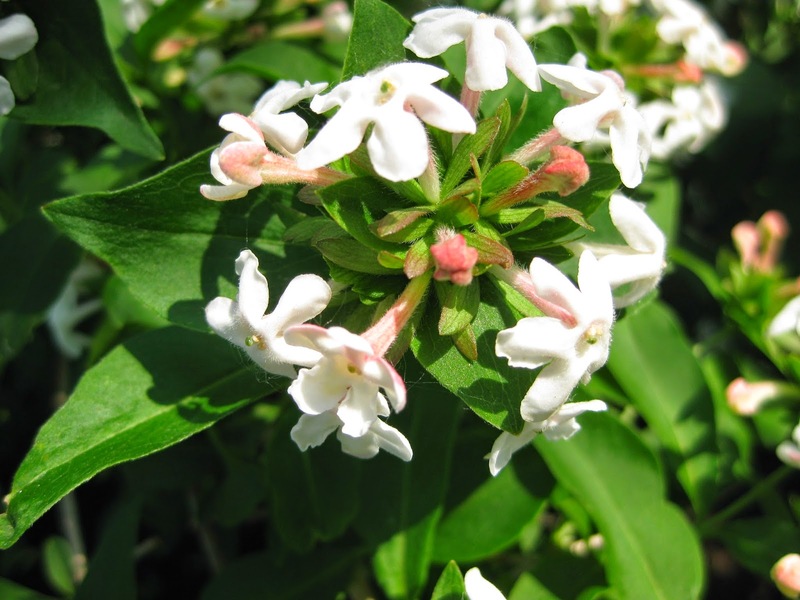 The fragrant abelia (Abelia mosanensis) seen here will be blooming in 8-10 weeks from today with these extremely fragrant flower clusters. 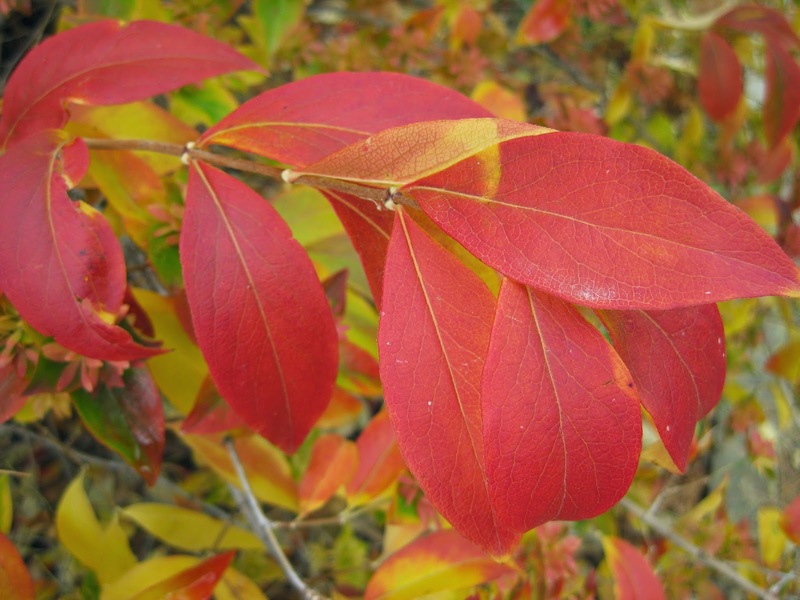 I advocate this shrub (hardy to zone 5 and zone 4 with protection) in many of my presentations as I feel it is underutilized. 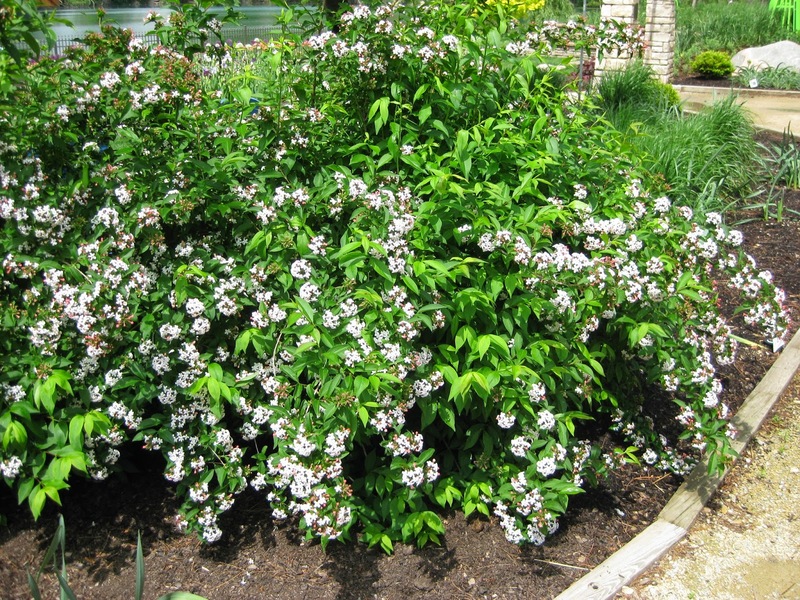 Native to Korea (also called Korean abelia), this shrub will get 5-6′ tall and wide and features upright, arching stems (see directly below). 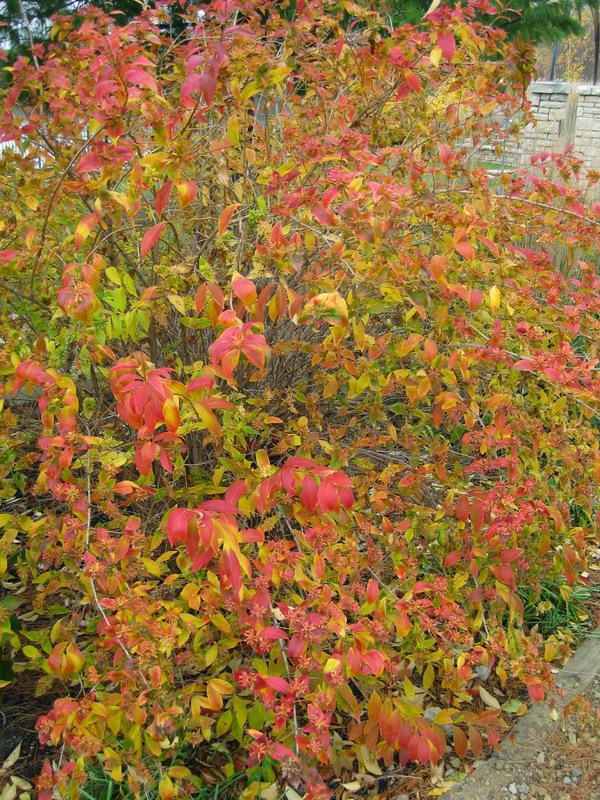 While “casual in appearance”, this shrub offers two solid seasons of interest. 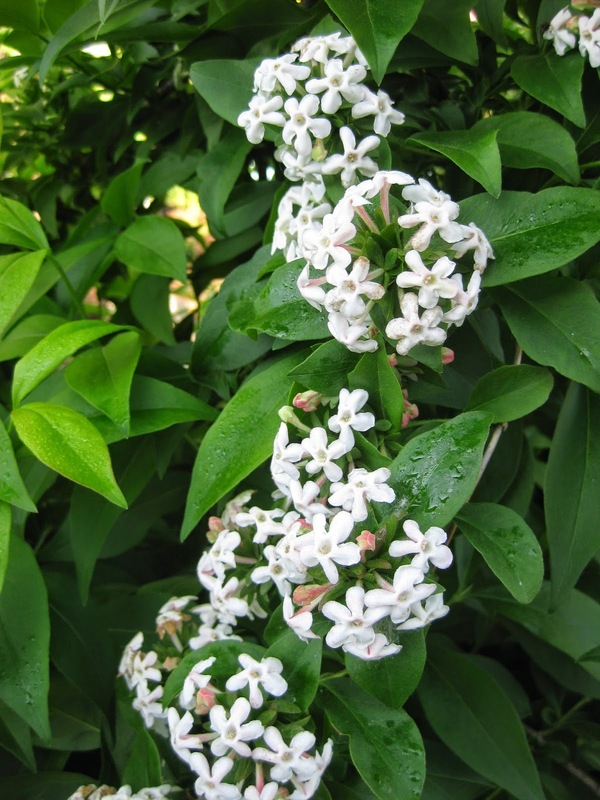 The spring flowers are extremely fragrant and reminiscent of lilacs. 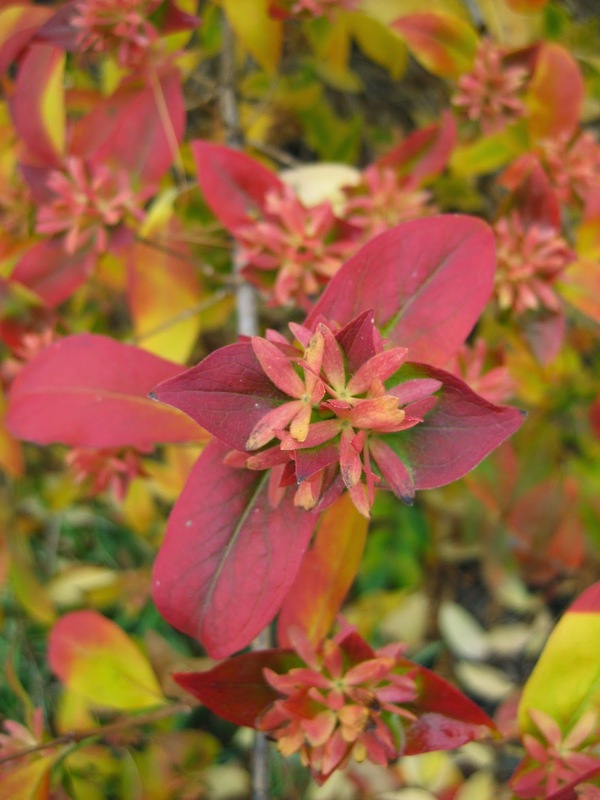 The buds are pink and open up to five-lobed flowers that are pinkish white. 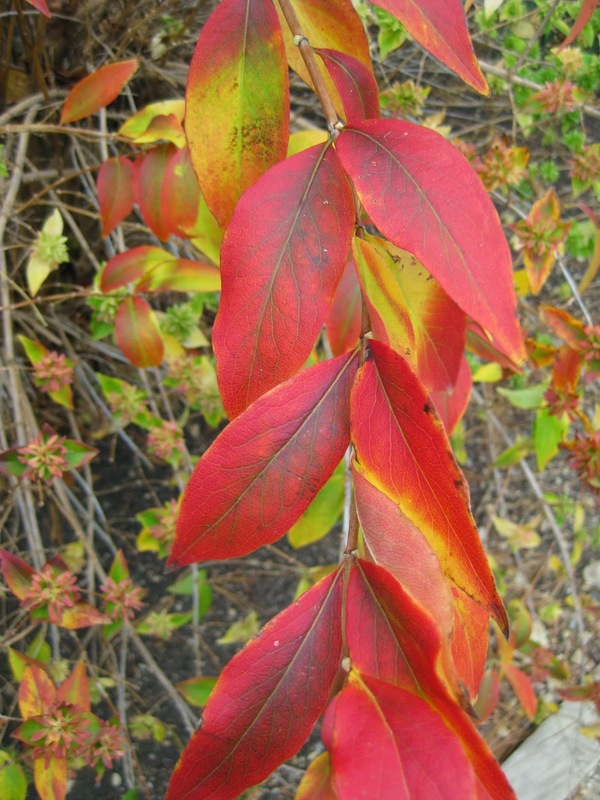 However, the fall color (see further below) is consistently superior and add strong interest in October. 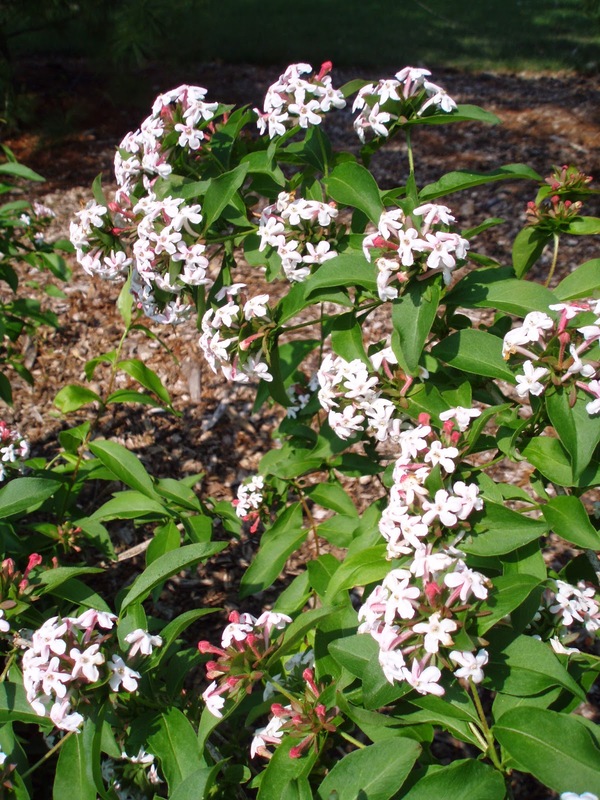 This shrub also only blooms on old wood (like lilacs) so any pruning should be done directly after flowering. Consider the merits of this excellent selection.